Five for Christmas Break Friday! It's here! It's here! Christmas break is here! I am so excited because this week has been one looong week! A full moon and the week before Christmas break makes for some crazy children! 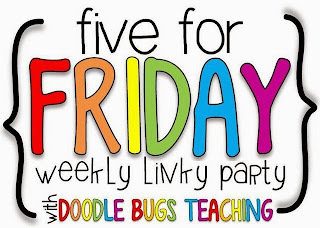 I am linking up with Kacey at Doodle Bugs Teaching for Five for Friday! Here are my five VERY random things! 1. I got this from a friend of mine at work. 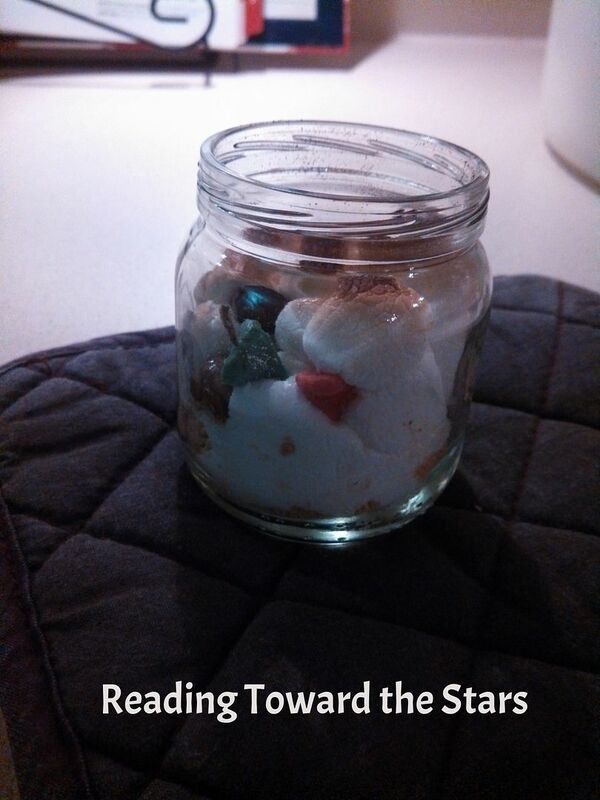 S'mores in a jar! How cute and yummy! 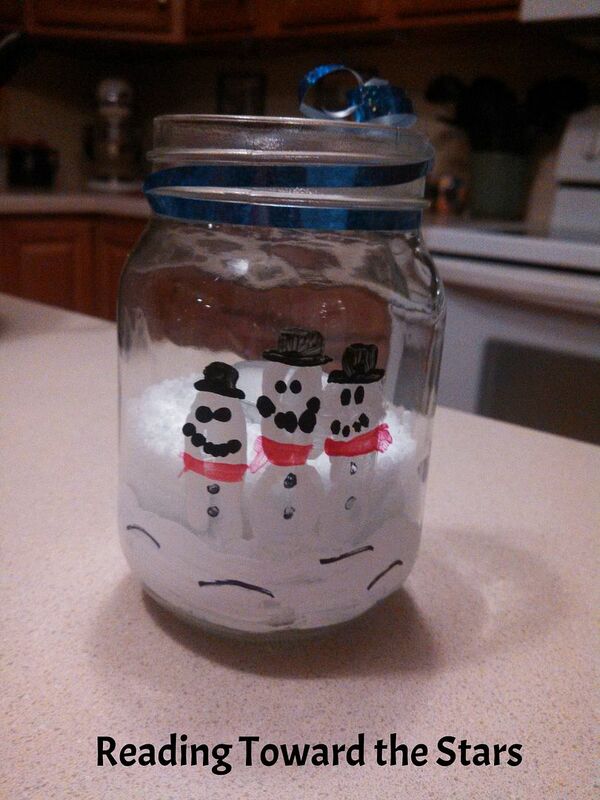 She had all kinds of baby jars and saved them to make these for all of us. Love it! Just bake at 350 for a few minutes, and you have yumminess! 2. My daughter made this cutie for us. The three snowmen are her fingers. What a fun keepsake! 3. 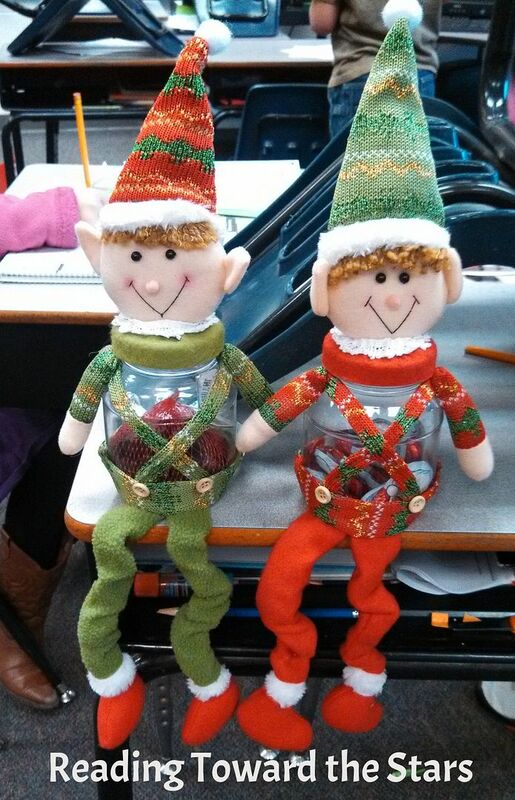 I rarely get gifts from my students anymore, but I got this cute little elf (green hat) from one of my students. Another student I work with got the one with red hat from the cafeteria manager for being a helper, so we took our twin picture. How cute! 4. Every year we have a school sing along, and the teachers do a little number. 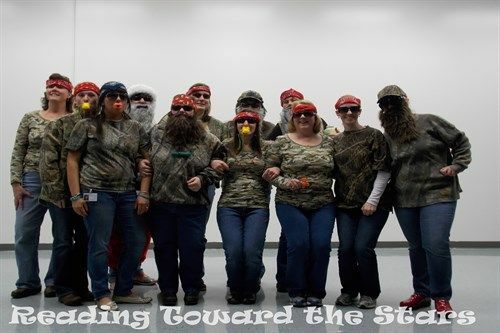 This year we did "Duck the Halls". Here is the gang! The kids loved it! 5. Don't forget to enter my giveaway! It ends Sunday, December 22nd! What have you been up to? Head on over to Doodle Bugs Teaching and let us know! Smores in a jar! How perfect! Is the graham cracker in there too? Or just the marshmallow and chocolate? I think I will be trying this tonight! 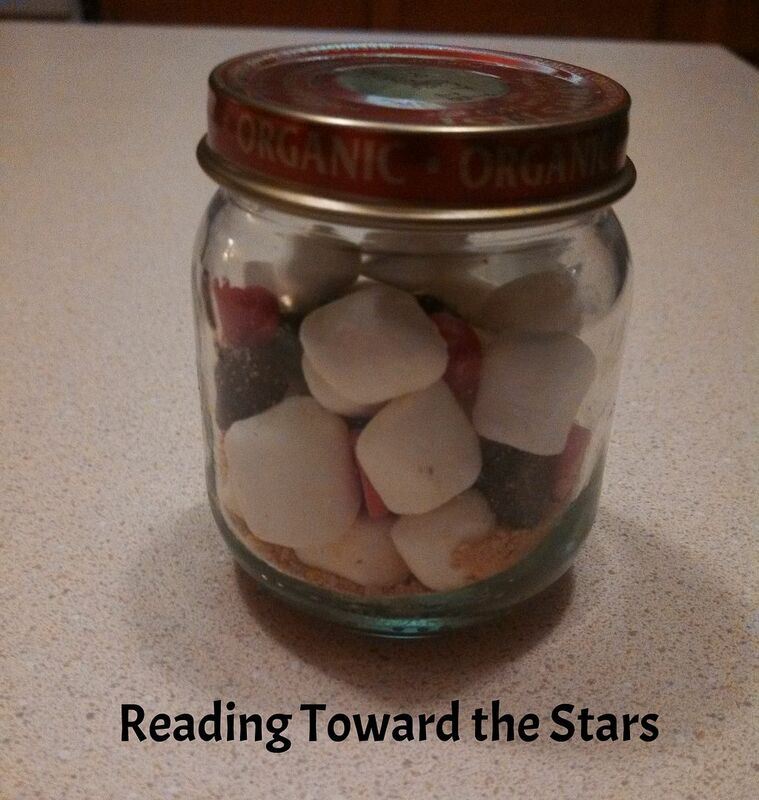 S'mores in a jar sounds delicious! What did she put in them?